Großartige Originalaufnahmen seiner größten Hits gibt es auf dieser neuen Best Of-Zusammenstellung. Schwelgen Sie in Erinnerungen an den King of Rock ´n Roll und genießen Sie Lieder wie Jailhouse Rock, Trouble, Love Me Tender uvm. 3 Presley, Elvis Heartbreak Hotel (First 'Stand-Up' Show) - Live - 01:03 Min. 4 Presley, Elvis Hound Dog (Second 'Stand-Up' Show) - Live - 00:46 Min. 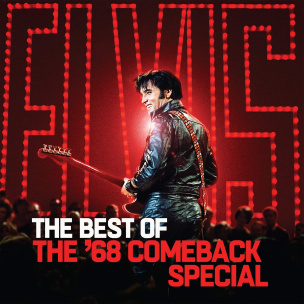 5 Presley, Elvis All Shook Up (Second 'Stand-Up' Show) - Live - 01:36 Min. 6 Presley, Elvis Can't Help Falling In Love (Second 'Stand-Up' Show) - Live - 02:25 Min. 7 Presley, Elvis Jailhouse Rock - Second 'Stand-Up' Show - 02:00 Min. 8 Presley, Elvis Don't Be Cruel (First 'Stand-Up' Show) - Live - 01:42 Min. 9 Presley, Elvis Blue Suede Shoes (Second 'Sit-Down' Show) - Live - 01:41 Min. 10 Presley, Elvis Baby, What You Want Me To Do (First 'Stand-Up' Show) - Live - 03:05 Min. 11 Presley, Elvis Are You Lonesome Tonight? (First 'Sit-Down' Show) - Live - 02:51 Min. 12 Presley, Elvis One Night (Second 'Sit-Down' Show) - Live - 03:05 Min. 13 Presley, Elvis Love Me Tender (First 'Stand-Up' Show) - Live - 03:30 Min. 14 Presley, Elvis Trying To Get To You (Second 'Sit-Down' Show) - Live - 03:04 Min. 15 Presley, Elvis Love Me (Second 'Sit Down' Show) - Live - 02:44 Min. 16 Presley, Elvis Memories - Live - 03:18 Min. 17 Presley, Elvis A Little Less Conversation - 02:00 Min. 18 Presley, Elvis Suspicious Minds - 04:29 Min. 19 Presley, Elvis Burning Love - 02:52 Min. 20 Presley, Elvis / Underwood, Carrie / Mendes, Shawn / Malone, Post / Rucker, Darius / Shelton, Blake / Elvis Presley, Pos If I Can Dream (from the NBC Elvis All-Star Tribute) - 03:10 Min.